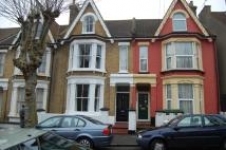 Host Student Ltd are pleased to resent this 6 Bedroom student property available. The property is within 10 minutes walk of the university. The property benefits from a Large communal area and kitchen / breakfast room. 2 Rooms with en-suite facilities, 3 double bedrooms and good size single. Utility bills managed by agent. Courtyard garden. Fully furnished. The property would ideally suit a group of 6 students attending the University of Essex. Viewing an absolute must.